Barcelona is one of the preferred tourist destination because of the many entertainment and cultural activities it offers. Walk down Las Ramblas, spend a day at the beach or do a tour of Gaudi's architecture, who turned the city into a work of art. Barcelona is a lively city, and there's plenty to do at any time you choose, so it's also a popular place for international students willing to learn Spanish in Spain and Spanish culture. The Penedes region has a privileged and luxurious setting, less than an hour away from Barcelona, it's beaches and mountains, so its perfect for a day or weekend visit. Spend your day among low hills and untouched rural landscapes dotted with villages, wineries and vineyards. The Torres winery was founded in 1870, and it's currently the family cellar with the biggest plantation of vine under the DOCa Penedes. Jaime Torres left for Cuba in 1855 and he came back to Spain a rich man. Together with his brother the wine maker, he founded the cellars in Vilafranca del Penedes. These were bombarded and destroyed during the Spanish Civil War, and reconstructed in 1940 by Miguel Torres Carbó, three generations since the founders, who decided to stop selling the wine in bulk and sell it in labeled bottles. The same year the reconstruction took place, Miguel Torres Carbó and his wife crossed the Atlantic to sell their wines. This was just the start of a wine making empire which now has a winery in Chile, another in California, and several vineyards outside the Penedes region, in DO Conca de Barberà, DO Toro, DO Jumilla, DO Ribera del Duero, DOCa Priorat and most recently in DOCa Rioja. A Penedes wine tour to the Torres winery in Pacs del Penedes is a real treat. The tours include visits to the vineyards, the cellar, audiovisual presentations of the family and winery's history, wine tasting... anything you can do in a winery you'll do in your visit to the Torres winery! Ceferino Carrión Madrazo, a.k.a. Jean Leon, founder of the Jean Leon winery, was a very peculiar Spanish personality. He was born in Santander in 1928. After his home was burnt and his father and brother killed during an accident in World War II, Jean Leon moved to Paris, then New York and then Hollywood, where he arrived in 1950. After getting a USA nationality and fighting the Korea war, he worked in Frank Sinatra and Joe DiMaggio's restaurant where he became friends with many actors and changed his name to Jean Leon. He made friends with James Dean and they opened a restaurant together, which Jean Leon tended to alone after the Dean's death. Jean Leon was never satisfied by the wine he served at his restaurant, so he decided to produce his own. He traveled around Europe looking for the perfect spot, and he found it in Torrelavit, in the Upper Penedes near Barcelona. He tore up the previous vines and planted international grape varieties like Cabernet Sauvignon, Chardonnay and Merlot. The first bottles came out in 1973, which were 1969 vintages, and three years later he got the DO recognition for his cellar. The Jean Leon wines were made famous by Ronald Reagan, who served them at his investiture party. Although his wines were originally produced for the US, they also started selling them in Spain. 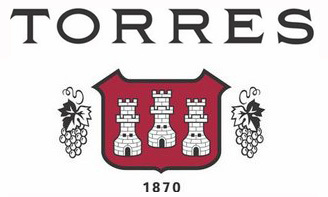 The cellar was bought by Miguel Torres of the Torres winery. A visit to the Jean Leon winery is like a stroll through history. The amazing personality of its founder is in each and everyone of their wines, which you will most definitely try during this Penedes wine tour. 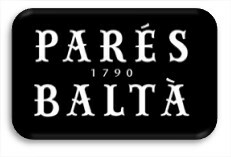 Parés Baltà is a family owned winery whose wine making tradition can be traced back to 1790, when the first vineyards surrounding the winery were planted. In 1978 Joan Cusiné Hill, who came from a wine making family, took over and added the estates "La Torreta" and "Els Pujols". 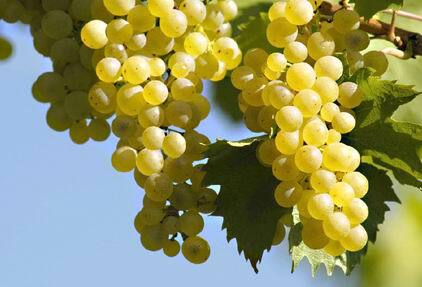 In the 80s came their first white wine, "Blan de Pacs". From there on, they started to investigate different techniques and methods of improving the quality of their wines. The Penedes wine tours to the Parés Baltà winery uncover the magic world of wine and its history, and include visits to the vineyards, cellars, production rooms and ageing room. You can also taste some of the most characteristic wines of Parés Baltà, or take a course or workshop in professional wine tasting. The Penedes wine tours are a great way to get to know the country around Barcelona and immerse oneself into the Spanish history and culture of wine.